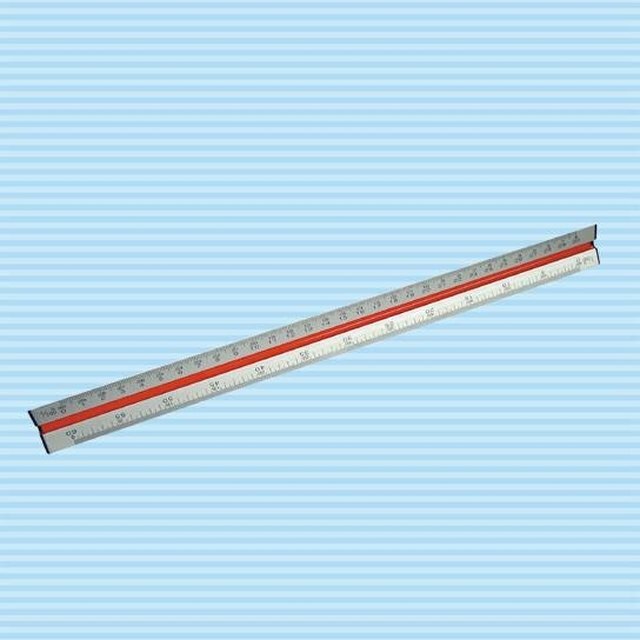 How Does a Scale Ruler Work? Reading an E-scale, also known as an Engineering scale or tri-scale, can be very confusing to the average person. Having three separate rulers, each with up to four separate scales, it is easy to make a mistake when taking a measurement. After learning how and why the ruler is laid out like it is, your E-scale becomes an invaluable tool and helps decipher engineering and architectural drawings. As full scale drawings would be too big, they are reduced to scale and translated with E-scales. Locate the key on your diagram that contains the scale of the drawing. This information should be listed under the heading of "Legend." Determine if the drawing is an architectural or an engineering type and select the appropriate E-scale. Engineering scales are read left to right, and should have scales of 1:20, 1:25, 1:50, 1:75, 1:100 and 1:125. 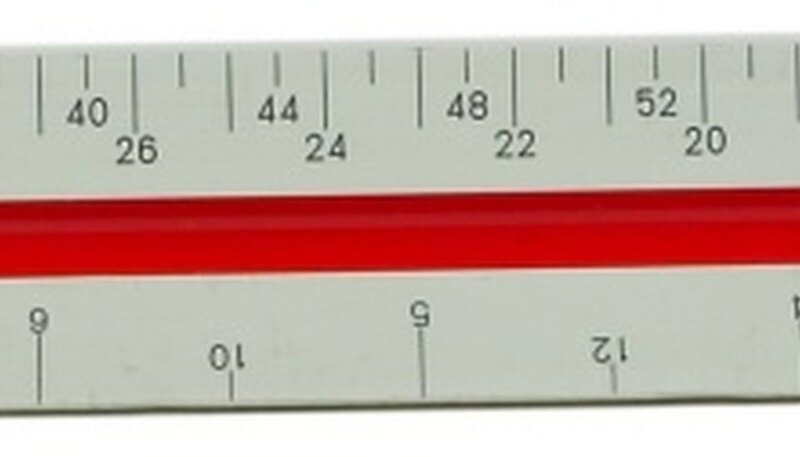 Architectural scales can be read both left to right, and right to left, and are likely to be labeled with 3/32, 3/16, 1/8, 1/4, 3/8, 1/2, 3/4, 1, 1-1/2, 3 and 16 scales. Select the scale on the ruler to match the scale on the drawing. Engineering scales should match engineering drawings, and architectural scales should match architectural drawings. Ensure the drawing has been printed to size correctly by placing the appropriate scale on the drawing's scale. These two should match. Measure a line in the drawing by placing the appropriate scale at the beginning of the line, matched to the 0 (zero) on the scale, and taking a reading from the ruler where the line ends. If the scale on the drawing states that 1/8 inch equals 1 foot, using your architect scale, select the ruler labeled 1/8. If you measure a line to the 32 mark on the 1/8 scale, the line represents a length of 32 feet in reality. If you accidentally selected the 1/4 scale, the same line would appear to incorrectly represent a 16-foot length. Be sure you use the correct scale with the scale of the drawing. Architecture scales read from left to right and from right to left. The numbers on the right to left scales appear lower than the left to right scale and increase in value from right to left. Alexander, Brandy. "How to Read an E-Scale Ruler." Sciencing, https://sciencing.com/read-escale-ruler-8527806.html. 24 April 2017.